Majestic large red and white Super Bowl granddaughter with 81.5 inches TTT and 93.5 inches TH! 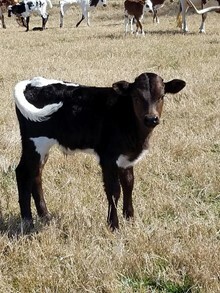 GOLD had a very nice and correct bull calf on 12/23/2018. 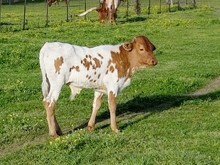 LMR SUPER BOWL COWBOY is a golden red and white bull calf. The Sire of this bull calf is AWESOME COWBOY. 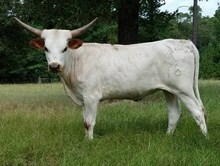 He is a black and white bull Stud.